Scouting is a year-round program uniquely designed to meet the needs of boys and their families. The program offers fun and challenging activities that promote character development and physical fitness. Family involvement is an essential part of the program, and parents are encouraged to play an active role in making the most of the short time they have to impact the lives of their children. Scouting is designed to be experienced outdoors. Hiking, camping, mountain biking, skateboarding, BMX, mountain climbing, kayaking, whitewater rafting--these are just some of a Scout’s outdoor experiences. Volunteering has always been the bedrock of the Scouting program. Behind every trustworthy, loyal, helpful, friendly, courteous, and kind Scout is a long line of committed volunteers who share those same traits. Scouts progress from rank to rank, learning new skills as they go. Each of the ranks and awards in Scouting has its own requirements. As Scouts get older and advance, the requirements become more challenging to match newfound skills and abilities. Each Scout progresses at his own pace as he meets each challenge. 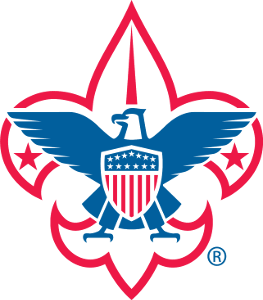 Rank advancement is one method used by Scout leaders to help boys fulfill the aims of Scouting: character development, citizenship training, and mental and physical fitness.